Brand Journal #8: Effective Branding Through Social Media and My Love for Mr. Robot – m.o.c.h.a. In this digital world of ours, it’s imperative that businesses have and effective and comprehensive approach to social media, especially in the B2C markets. Consumers heavily rely on social media to provide information on ideas, people, products, and services so neglecting or incorrectly using social media to promote, build, and reinforce a brand can be extremely detrimental to the success of a company. And social media takes it to lightning speed. Communication happens in real time and reaches exponentially more people than traditional media because the Internet lives forever and geographical barriers are negligible. Virality would be the fastest and farthest reaching communication strategy of all, but that is difficult to execute since Internet audiences are a fickle bunch. An important thing to keep in mind when integrating social media into a company’s overall marketing strategy is authenticity. Social media are networks of interpersonal connections and exchange, primarily from person to person, so it’s a very personal, human experience. Simply promoting a brand with traditional advertising mindsets (i.e. push methods) are ineffective in comparison to consumer-centric, value-added social media marketing. It’s a double-edged sword. Social media, digital networks, and Web 2.0 simultaneously increase any single entity’s reach, making existing and potential markets bigger in scale, but also require more personal, customized, and localized attention to each individual consumer’s needs and desires. With web behavior tracking through cookies, website analytics, and targeted online advertising, it’s easier and harder than ever for companies to define, identify, and cater to their target audience. Traditional segmentation methods are no longer efficient since demographics aren’t so rigid anymore; people of all types and backgrounds like and do varying, “contradicting” things. So though it’s easier for businesses to identify certain target groups based on age, gender, geography, etc. simply applying a blanket marketing strategy for every female aged 18-35, living in the United Kingdom is a waste of time, even if you add an interest in cooking too. People are so different, and the only way to effectively market to them is to interact, listen, and analyze. Consumers talk. The best thing to do is engage in that conversation with authenticity in order to establish brand trust and loyalty and learn more about the market in order to refine and improve either the product, marketing, strategy, positioning, or brand. One example of a great social media campaign that established and maintained a strong, consistent brand image and ultimately generated awareness and interest in its product is the promotional strategies of USA Network and VaynerMedia for season 1 of Mr. Robot. USA Network’s critically acclaimed and cult favorite television series about hacking, anarchy, and societal corruption is not only a favorite show of mine, but a favorite example of successful integrated marketing across many platforms. Before diving into the social media campaign, I want to highlight the effectiveness of using subtle but disruptive guerrilla marketing in the months leading up to the series premiere. 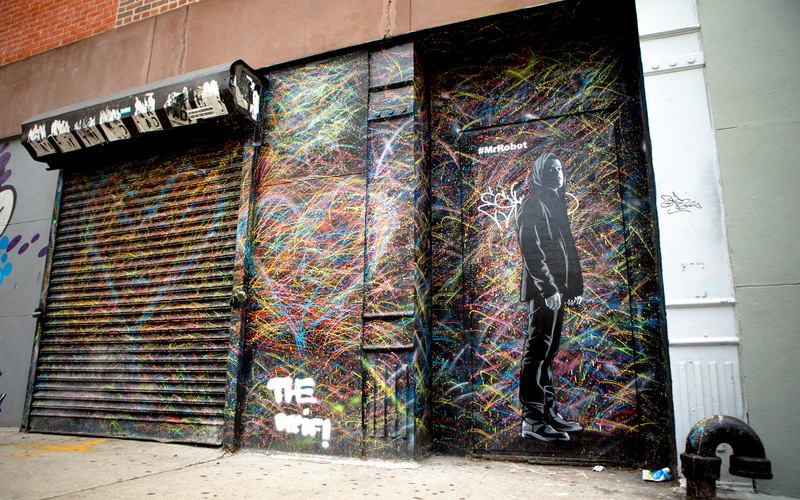 Street art installations of main character Elliot, played by Rami Malek, were painted in alleyways, subway stations, and random buildings in Manhattan. While visiting New York, I first found out about the show by being confronted with Malek’s cold, detached eyes staring out from across the street. The entire launch campaign is a stellar example of innovative, brand consistent marketing and such an inspiration for me as an aspiring digital and entertainment marketer. I will include articles for more information about the launch below. Generally though, the mentality of “What would Mr. Robot do?” was at the heart of every marketing decision, from overarching strategy to distribution and each minute detail in every piece of copy. This ensured that the rollout strategy of a pre-linear distribution of the pilot on VOD cable and online platforms like YouTube, iTunes, Amazon, Facebook, Google Play, etc. was within brand and eventually profitable. Viewership was so high (3 million views on VOD) that USA Network signed a second season before the series was even officially released. As for social media and effective brand communication, Mr. Robot employed a nubmer of strategies to create one of the best campaigns of 2015. 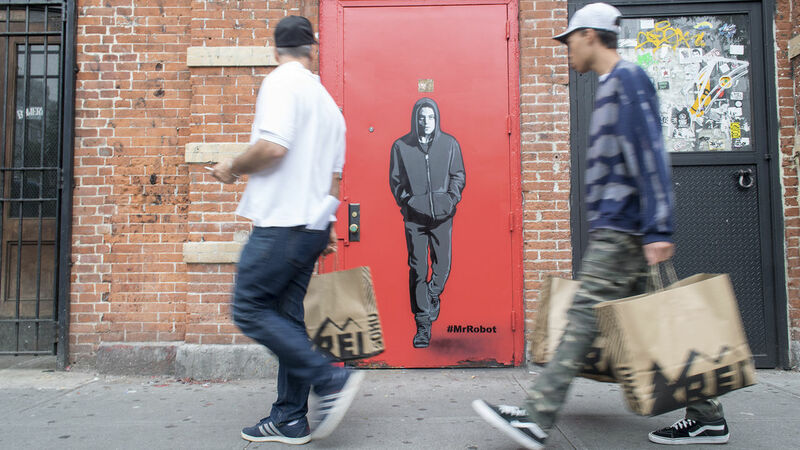 According to whoismrrobot on Storify, the campaign was successful by “using an immersive and unapologetic voice and uniquely feed-stopping visuals…[the] season-long campaign hinged around hyper-targeted content, real-world commentary, and responsive messaging.” The campaign spanned across Facebook, Twitter, Instagram, Tumblr, and Snapchat, using the highly catchy and intriguing screenname: whoismrrobot. Content reached 173% more impressions than average campaign content, and Twitter activity generated more than 8 million impressions by employing a highly personalized and responsive approach regarding engagement with fans. 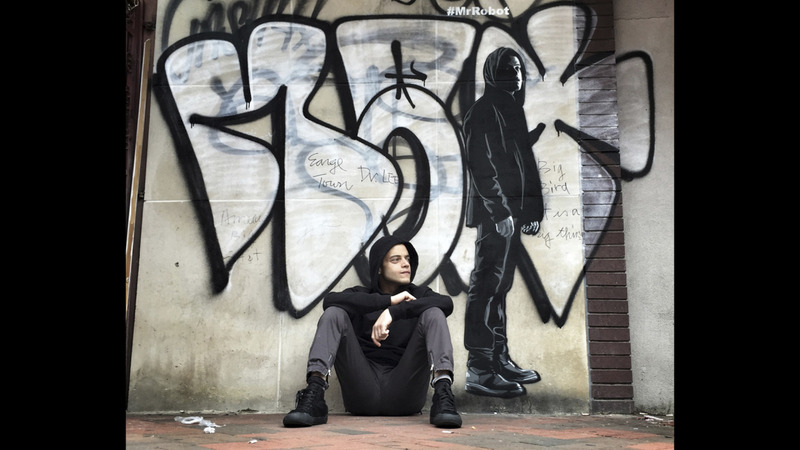 The key to Mr. Robot’s success during the campaign is the flexibility of its tactics and tailored delivery of content to its diverse audience. 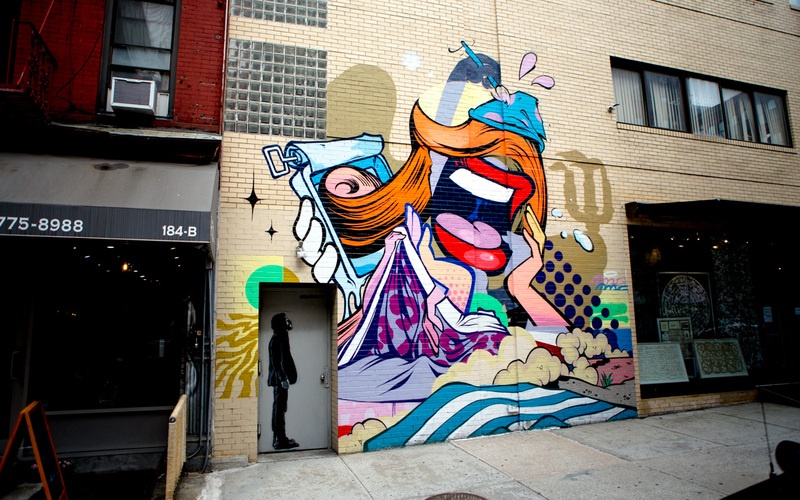 Creative and copy were customized to appeal to the techie/hacker market, comic-book enthusiasts, cynics, and drama lovers. Every post, design, and tactic was imbued with the Mr. Robot voice so that users were immersed in the world of the show and excited for the coming premiere. The campaign also reacted in real time to major events by providing in-voice commentary that made the brand more personal and relevant by empathizing with viewers and voicing their distress with current social and economic situations. This enriched the world of Mr. Robot as well by blurring the lines between reality and television. Before the show officially launched, it achieved a solid place in the zeitgeist and a positioning in the market as an upstart, game-changing, somewhat anarchic series that would challenge not only the television industry but society as a whole. Our team of protagonists do call themselves fsociety after all. I have only just finished season 1 and have not been exposed to much of the season 2 promotional material since I had not started watching the show at that time. I’ll have to watch the new season before anachronistically researching the season 2 launch campaign but I’m excited to see all the material and find out how Elliot and the gang are doing. What we can learn from Mr. Robot is that social media can be leveraged for brand awareness, engagement, and “sales” if consistent brand image is of utmost priority. Though the campaign’s hyper-targeting and personalized material were surely important to the success of the campaign, it was the integration of the Mr. Robot essence in not only the tone of the copy and design of the creative, but the decision making of implementation tactics that made the show such a hot topic in 2015. Branding is everything, and social media can be the most efficient tool for communicating it, but in the end, it’s the strategy that will carry through. Know who you are, know what you want, be authentic, and be consistent. Everything else will follow suit. Very very interesting. I came onto the show pretty late so this is cool to see! Thanks! I came onto it pretty late too so I missed all of that marketing material as it was being launched, but it’s super cool to study it afterwards.